The Daily Beast uncovered that it was Facebook, not Microsoft, as the company behind much of the recent smear campaigns against Google's brand and image. Supposedly, Facebook hired a PR company to investigate how Google was utilizing their data in Google's Social Search and other social initiatives. The Daily Beast said they also initiated a campaign to make Google look bad in the way they are doing so. Danny Sullivan wrote up an outstanding post on Examining Facebook's "Smear Campaign" Concerns About Google Social Circles. 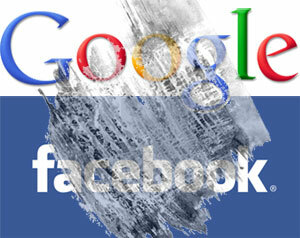 In short, he found that Google was doing nothing wrong and later found how Facebook enabled Google to index this content. In the end, it's really kind of a stunning counterplay by Facebook. Facebook has encouraged its users to share information with "everyone" and actively published that information out onto the open internet. But because Google doesn't want to play by Facebook's rules to harvest this publicly published information, Facebook seems to want to cry foul. If Facebook were really concerned about this, at the very least, it would close down all the public search pages that it published into Google. But that's not going to happen, because that's too much in Facebook's interest. Steven Levy, well known author, added that not only does Facebook look really bad here, but this whole thing exposed Facebook's own privacy issues. This all just looks bad - and here, in my opinion, this leaves a huge black eye on Facebook. Google came out a huge winner here. Forum discussion at Sphinn and WebmasterWorld.